This was just taken a while ago, two more hours to go before the end of the sale and the queue's still very very long! Look they even station a fuel tanker on standby at the Station! Petrol must be running out fast! There was two traffic marshals as well, making sure cars get in orderly. Cars are surprisingly obeying rules today. They only get into the station when the Marshall blows on the whistle! Guess what? 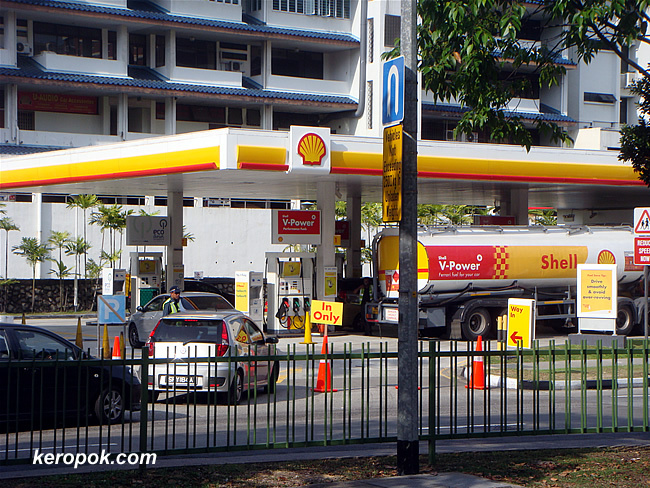 If you go further away from the Shell Station, you would have noticed the long queue! (Think this is happening around the island) This was the scene at Jalan Jurong Kechil. The Shell Station is I think about 200 metres away from this first car you can see on this photo. I wonder how long the queue is to! There are many unhappy people though. 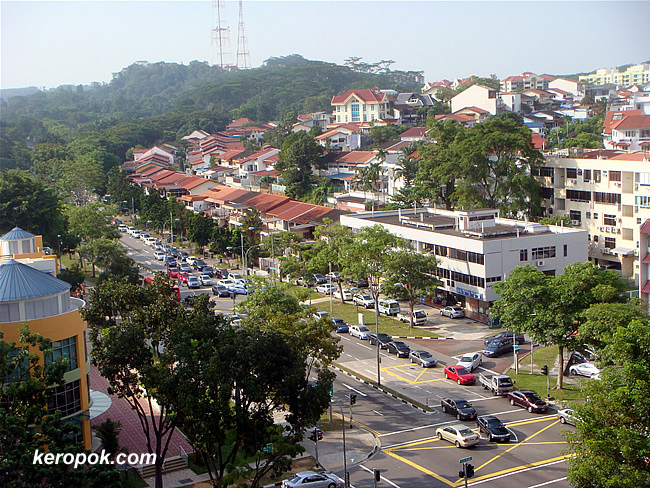 Unhappy people are honking at Queue jumpers! I can hear horns blaring every now and then. Sigh. I think it's only worth the wait if you have more than half your petrol tank empty. No one thought to stock up in drums ? Hubby did that during the oil crisis 3 decades ago n the subsequent car-free day on Sundays. This stunt is kinda like penny wise n pound foolish, dont u agree ? Half the people were happy, others were not. But I sure heard lots of honking! if they could they will! if you were there early before the queue started and if you had an almost empty tank, then it would have been good. During Malaysia raised to RM2.70, ultra massive jam occurred and some of them are totally kiasu carrying bottles to fill more. It's an unlucky for OPC owner that need to pay S$20 to drive to petrol station which promotion starts Saturday from 10.00-18.00. If a Singaporean car in Malaysian road during this day, very lucky.